Plane Fun is a 4 bedroom, plus bonus room, and 3 bath bay front home. It has an open kitchen and dining area with plenty of seating for mealtime. There are comfortable sofas in the living area, ceiling fans, and 6 cable TVs. 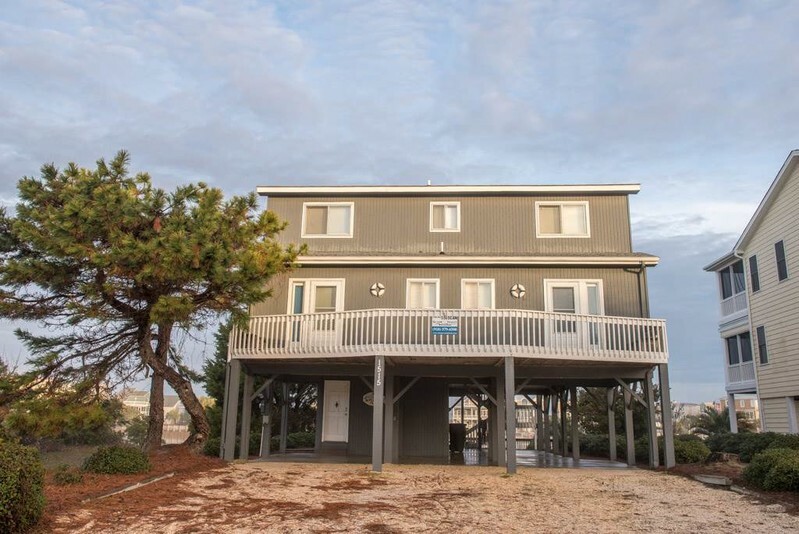 Other amenities include a covered porch, screened porch, sun decks, outside shower and boat dock. The house is bright and spacious and offers beautiful views of Tubbs Inlet. Great for beach goers, fishing and kayaking, or simply enjoying down time with a view! Sleeps 13, including the two singles in the bonus room that has a slanted ceiling - children like this feature! The four bedrooms have two king beds, 2 queens, and a queen/single. Bed and bath linens are included with the rental, with beds made prior to your arrival. Location was great and had a great time with family. The beach is one block away.